Typically, the planning phase kitchen remodeling doesn’t have a time frame. The planning is done at your pace. Working with a Bay Area general contractor and/or a designer, you can develop your plans for the kitchen remodel, which should include an estimate of the cost of the remodeling as well as an expected time frame for the total project, assuming it goes according to plan. If you approach your contractor with a clear idea of what you want, this phase is likely to take less time than if you need to figure out the details with the contractor. The planning phase often includes ordering materials for the remodel, as well. Ordering and receiving all of the materials could take a month or two, depending on what materials are ordered. The demolition phase of the remodeling has a wide range for its timeline because it depends on what, exactly, needs to be demolished to make room for the new kitchen pieces. Minor demolition can be completed in just a couple of days. Conversely, if your kitchen is gutted so you can start from scratch, it could take a couple of months to remove what’s already there to make room for the new design. Another important part of demolition is the utilities lines in the kitchen. If your remodel includes moving your sink or stove, they will need utilities hook-ups. That can require extensive demolition and preparation for installation. Once the demolition is complete, the new kitchen starts to come together. Depending on the extent of the remodel, this phase can take as little as a couple of weeks to more than a month. The timeline for installation also depends on the Bay Area general contractor schedule, the arrival of the materials, and dealing with any obstacles that may come up during the installation process. Overall, it’s a good idea to plan for a kitchen remodel to take between two and six months. However, this does not take into consideration obstacles in the remodeling process, such as delays in getting materials, challenges in demolition, or extra time needed to accommodate the contractor’s schedule. When you are in the planning phase of your East Bay kitchen remodeling process, your contractor can give you an idea of how long your project will take, using the specifics of your needs into consideration. 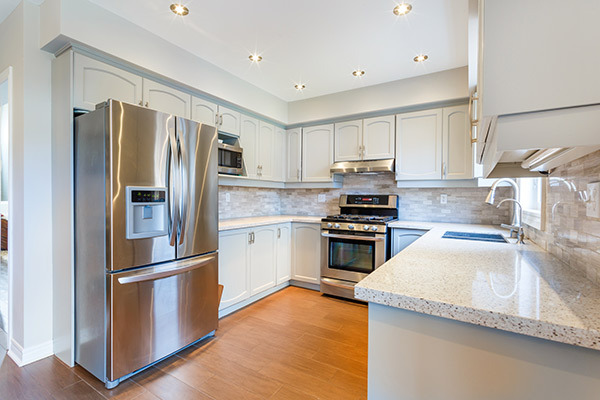 Are You Looking for a General Contractor Who Specializes in Bay Area Kitchen Remodeling? If you’re ready to start the planning phase of your Bay Area kitchen remodeling, call BA Morrison today to make an appointment. Before you know it, you’ll be cooking family meals in your newly-remodeled kitchen!